I have been using Internet Explorer for a long time and have always used Google when doing any searching. 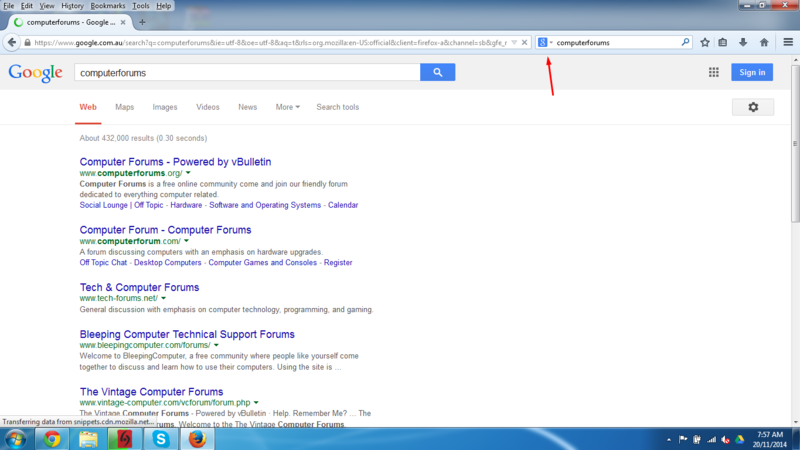 I have now started to use Firefox more frequently and have noted that you can't use Google with it. Under the circumstances I am wondering if anyone can recommend a suitable alternative please. I have always found Google to be very good and, if you speak to anyone about finding something they always say "Why don't you Google it" and I have never heard anyone say use a different method of searching but, surely there must be a worthy alternative. Any help/guidance will be much appreciated. Thank you. What is going on that you cannot use google with firefox? Just looking for more detail, as I do it every day. Hiya, thanks for coming in on this. When I try to download Google Toolbar for Firefox it says that this has been discontinued and, something else says that Google Toolbar is only for Internet Explorer and so I don't continue any further. It also says that "updates and fixes are no longer available and it is strongly recommended that you discontinue using it"
If you have any other suggestions I will be most grateful. I just noticed the title! Sorry! Alternatives off of the top of my head would be Yahoo, and Bing, though I do not use either of them. Can I ask why you need to use the google toolbar? why not just go to google.com in a new tab? I was hoping to avoid asking that. It was going to be a last resort question as I was thinking he had already figured that one out. I use the Google Toolbar because it nestles nicely at the top of my screen and is very quick and easy to type something in and hey presto! I was just looking for something similar to use. The search bar (Top right) will do the same. Just select Google from the drop down menu if it is not the default already. I don't seem to have this 'drop-down box' with Google in it. Any guidance to find this would help please. Many thanks.